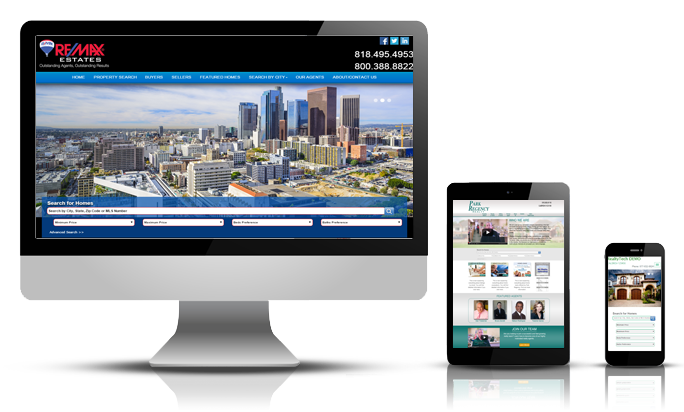 Adding custom background images to the new templates is an easy way for real estate professionals to also personalize their websites and make their sites more area specific. This feature will help agents who are gearing their websites toward specialized areas such as waterfront homes, horse properties, city condos, etc. The new templates are intuitive and streamlined to offer a refined and insightful user experience. The new layouts were designed by Designer, Soeun Park, to increase stickiness with online visitors utilizing proven online tools including a Custom Form Creator with unlimited forms and a new home evaluation lead capture system. In addition to the new ability to upload background images, the new templates also include updated preloaded content to help visitors to intuitively navigate the site and enhance the home search experience. The new updated templates will be added to RealtyTech’s Agent123 service in early December 2014 and available to every existing client at no additional charge.